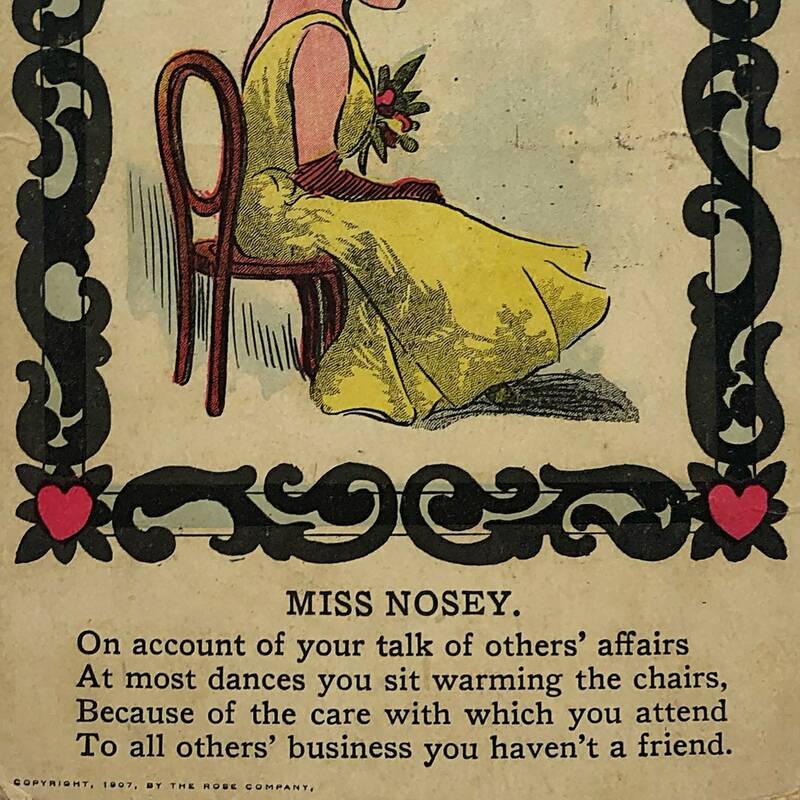 Vinegar Valentines: “Miss Nosey,” copyrighted 1907. 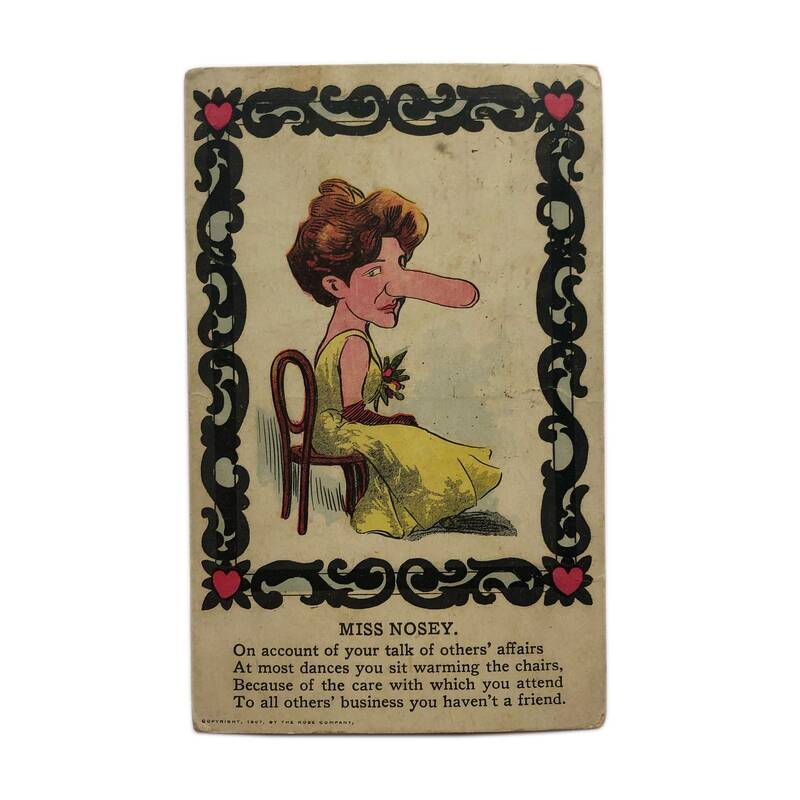 Vinegar Valentines: “Miss Nosey,” copyrighted 1907. 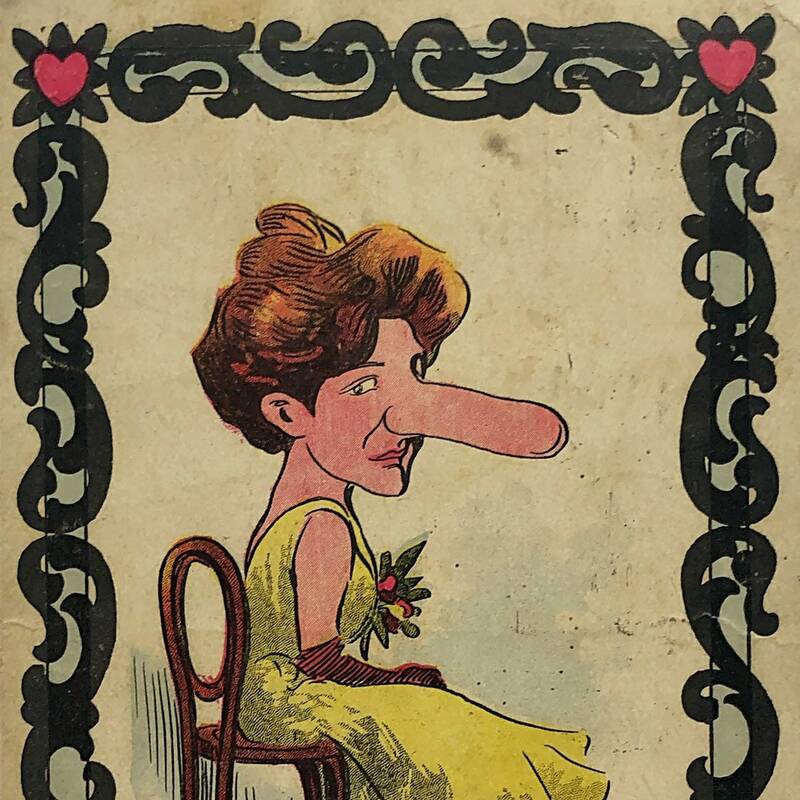 A typical Vinegar Valentine of the Edwardian era, poking fun at a woman for gossiping too much. 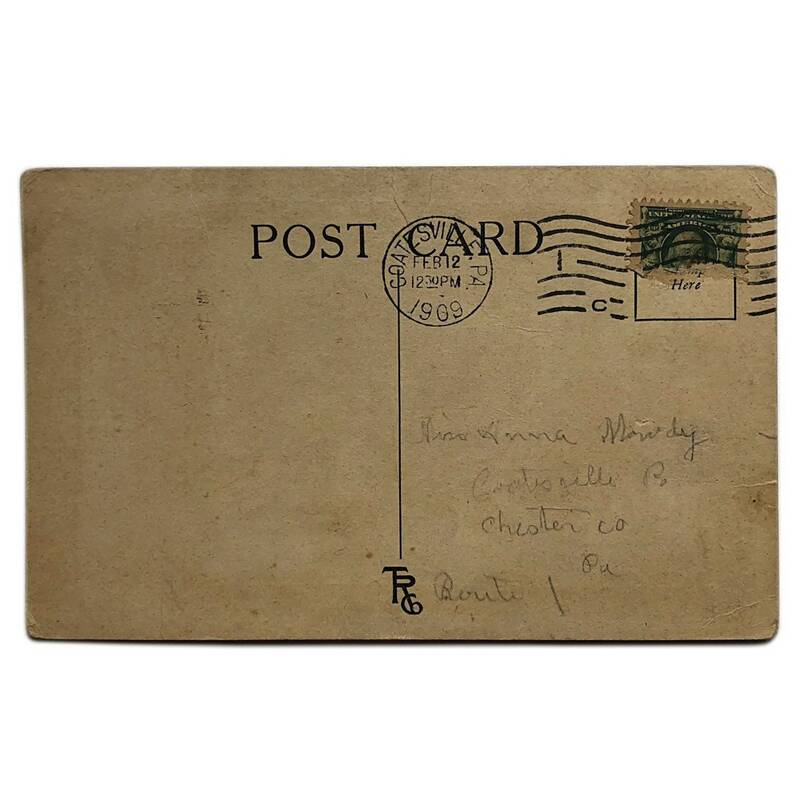 Sent anonymously to a Miss Anna Mowdy of Chester, PA for Valentine’s Day, 1909.